Laundry. My favorite. I bet it’s yours too, right? Over the years I’ve become a master at making laundry a tri-weekly chore at most. But when I look at what I throw in the hamper, I have no clue if something actually needs to be washed, or how often. If you’re washing clothes too frequently, that means you can justifiably do less chores while saving resources and pollution. Now that’s what I call #winning. So here’s a guide to those of you who, like me, are blissfully unaware of how frequently you should wash different types of clothing. Consider yourself informed. Unless you’ve spilled something or have done some serious sweating, chances are your shirts, pants, and even bras are still good for another 2-3 wears. 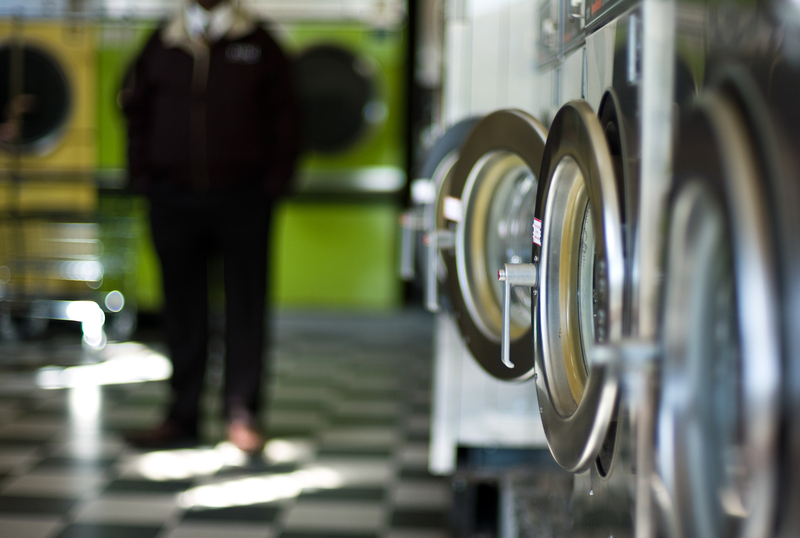 Items like jeans can go months without a wash and still be stain- and stench-free. Even if there’s a stain on your clothes, you can spot treat it and get another wear that way. We promise that re-wearing clothes won’t make you dirty, diseased, or less popular. I’ve been wearing the same jeans for a few weeks myself, and I have no dirt-provoked illnesses to report. Sweaters, jackets, and nicer clothes like suits and blouses can be worn many, many times between washes depending on your lifestyle or environment. And when your fancy duds are ready for a clean, consider alternatives to conventional (and highly toxic) dry cleaning. The recommended washing for towels and pajamas is every 3-5 uses! I’ll admit, I don’t wash my towels nearly that much. But considering how many dead skin cells, bacteria, and other contaminants build up on our bath and kitchen towels, I really should. Same goes for pajamas, especially if you don’t shower before bed. As for bed sheets, recommendations come in at about every two weeks. However, you can push that number to three if you tuck in after a shower. One wear, no surprises here. But here’s a pro-tip: Consider buying a few weeks’ worth of socks and underwear. You’ll spare your underwear from the wear and tear of excessive washing AND lessen your laundry day frequency. And hey, options are always nice. Of course, there are some trickier items. Down jackets and vests should only be washed twice a season, while swimsuits should be washed by hand after every use. For your non-typical apparel, your best bet is to follow the item’s washing directions on the tag. Cutting down on excessive washing will save you time, water, resources, and the strife of the terribly laborious act of doing laundry. So before tossing that shirt into the basket, give it the ol’ sniff and spot check first!